This 3-pin XLR Male to 3-pin XLR Female cable is 6ft. long and can be used in a variety of environments. 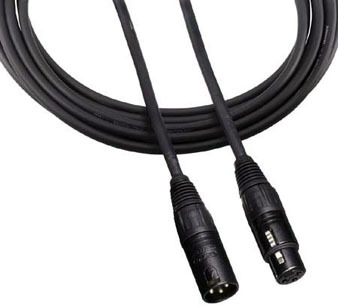 The XLR connectors feature locking mechanisms, and the cables are also capable of carrying phantom power to microphones on both the plus and minus signal lines.